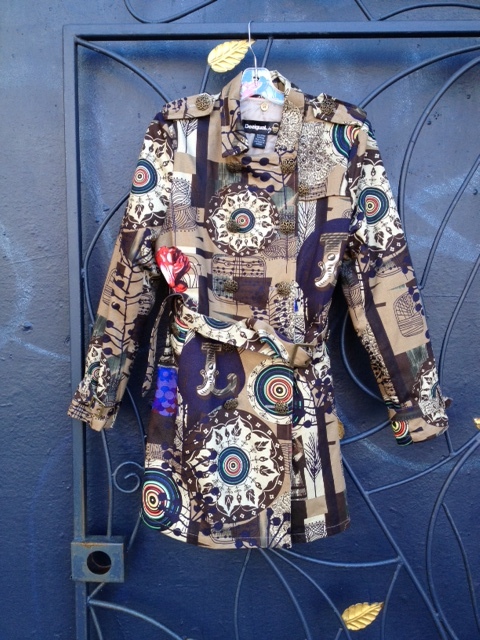 Here is a stylin’ new Desigual coat for women for this spring. A trench raincoat that is water resistant — good for a light rain — designed by Christian Lacroix for Desigual. 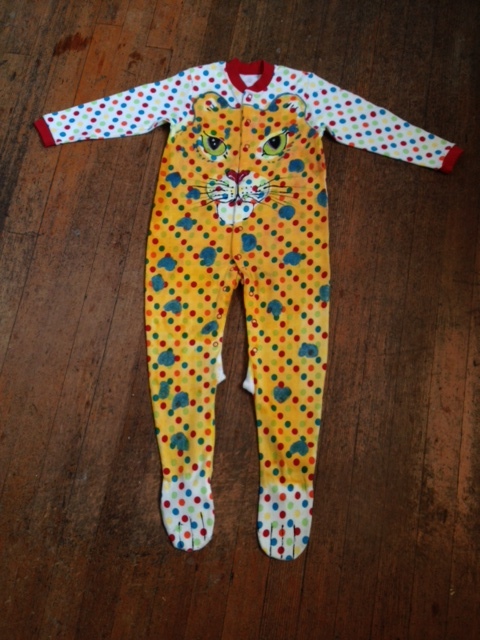 It has a removable lining, so could be worn for fall as well. 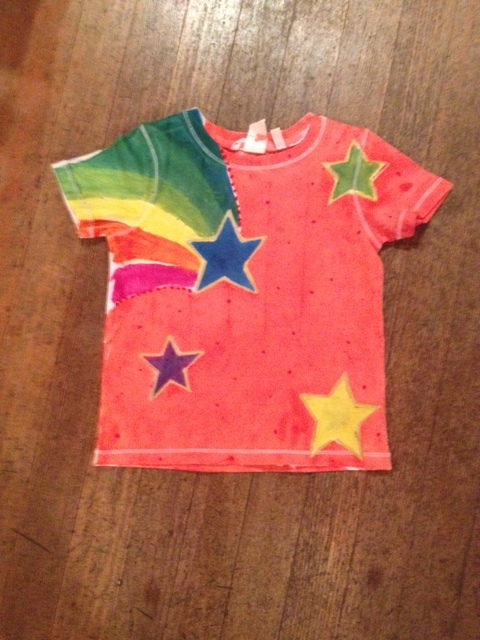 We’ve also included a few recent shirts I’ve painted. 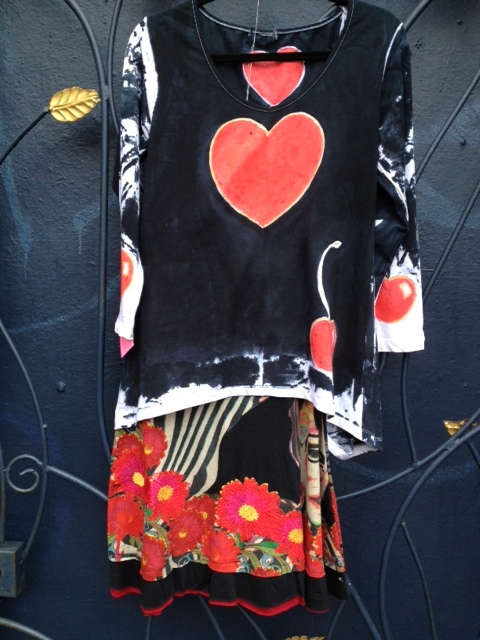 The heart shirt, shown here paired with the Desigual Cirque du Soleil “Sin Phony” skirt, has already sold, but I could paint you a similar one. The first shipment of the Desigual spring-summer 2013 line has arrived at Angel Vancouver. Our second shipment should arrive toward the end of March. 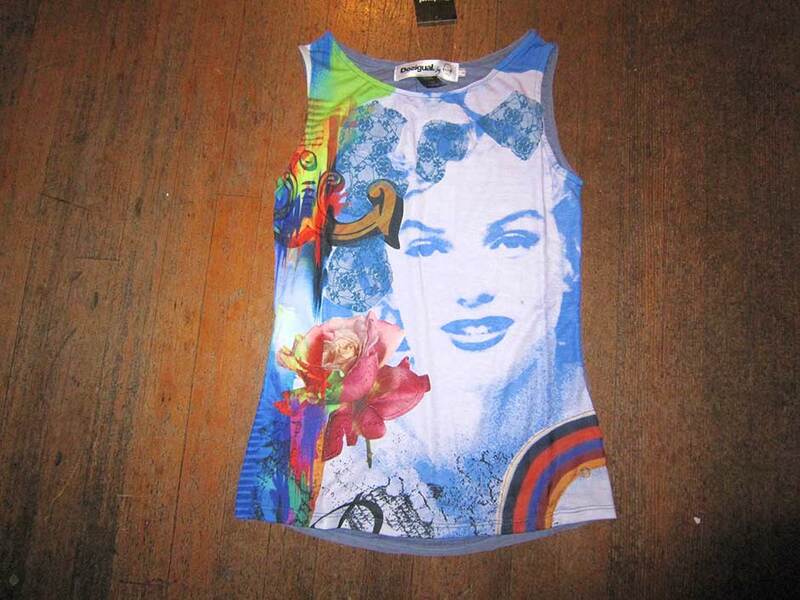 We carry a wide range of Desigual for men, women and kids. The Angel Vancouver store is located at No. 2 Powell Street in the Gastown district of Vancouver. We’re on the corner of Powell & Carrall Street in Maple Tree Square, which is where Vancouver began. Desigual is a fashion house based in Barcelona that produces 1,000 new pieces each season. Its slogan this year is La Vida es Chula (Life is Cool). If you don’t see what you’re looking for, we might be able to special order it in, then ship it to you. Call (604) 681-0947 or email me at jackie@angelpaint.com. 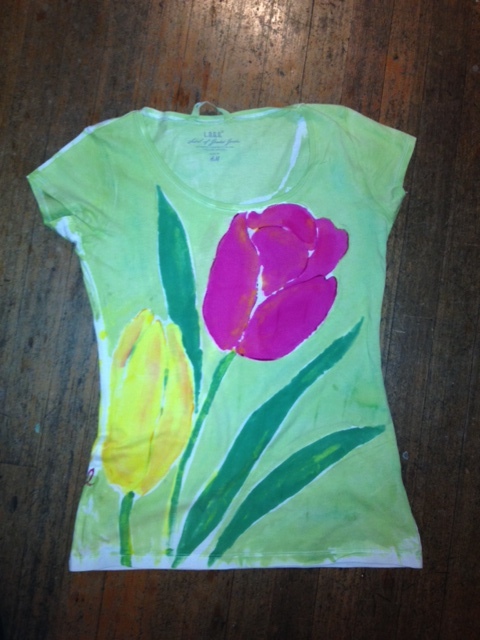 This entry was posted in Christian Lacroix for Desigual, Desigual and tagged Angel Handpainted clothing, Angel of Vancouver B.C., Christian Lacroix for Desigual, Desigual, Desigual Canada. 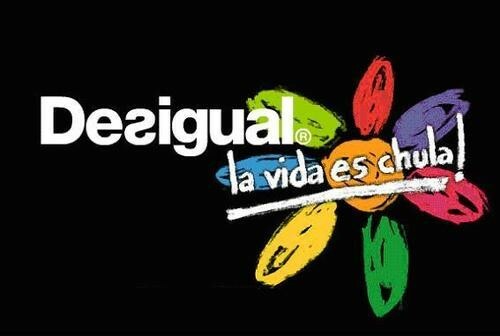 Desigual Vancouver B.C., Desigual Vancouver B.C., Gastown, Hand painted clothing, La Vida es Chula (Life is Cool!). Bookmark the permalink.